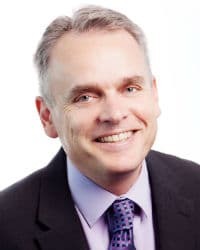 Tony Dyas, Senior Business Developer, Allianz. Where does after the event (ATE) insurance go from here? If you asked most providers that question in 2013 in the lead up to LASPO then you could be forgiven for thinking that there wouldn’t be an ATE market in 2017. If you asked ATE providers now most would at best be cautiously optimistic about the future. At Allianz Legal Protection we were quick to recognise what LASPO would mean for our customers and whilst this was the biggest change ATE market has ever seen the future still looks rosy – if a little different. So what is the key to making ATE successful? For us it’s simple – stop looking back and start listening to your customers. We are not going to have recoverable premiums for personal injury ever again and it’s a strong possibility that recoverability won’t be here for clinical negligence in a year’s time. There is a move towards fixed costs starting with clinical negligence and spreading to all types of litigation. The costs for ATE insurers to insure are reducing. Apart from court fees there appears to be a continuing downward pressure on disbursement costs as the cost of accessing justice reduces (some would say when accessing justice becomes harder). Solicitors practices are consolidating, some firms will cease trading and others will get bigger. If, as predicted the small claims court limit increases there could be some cases where ATE is no longer appropriate. Fixed costs – this is an opportunity for ATE providers to develop new and innovative products. Markets change which is not always a bad thing, so innovation is key to deliver for our solicitors and policyholders. Reducing disbursement costs – his has to be good for our policyholders. At the moment the costs we see vary hugely from firm to firm for providing the same service. The changes give us more certainty by gaining more control over costs. So there will be less premium but more certainty. 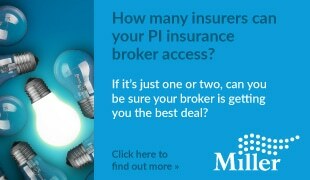 Ask any reputable Underwriter which they would prefer to have! 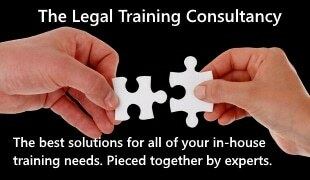 Consolidation – in my experience this means that solicitor firms are becoming more expert. By more expert, I mean better at developing customer propositions, better at managing costs and more demanding of their ATE provider! If they are more demanding it means we have to up our game and provide better products. But those better products will have a longer shelf life as they are built around customer need. The small claims court limit – Ok so no one has worked out the answer to this one yet. But my money is on an innovative law firm knocking at our door in the next few months with an idea that none of us have thought of. Will ATE be there for any type of dispute? Probably not. Let’s look at Noise Induced Hearing Loss. A combination of increasing costs, low settlement values and having to issue proceedings on all cases means that it is almost impossible at the moment to have a proportionate ATE premium to support claimants. This can’t be a good thing for claimants but with a changing market comes innovation and the potential for new emerging models. So you can never say never. Premiums will be lower – so there is less premium for the ATE provider for each policy. That’s inevitable but against that there is less risk to manage. For ALP it’s how we diversify into new and emerging ATE markets whilst maintaining our leading position in personal injury and clinical negligence. So what is the future? The simple answer is that we need to be better at what we do. It is also about working with the right solicitors who also have a compelling vision of the future.